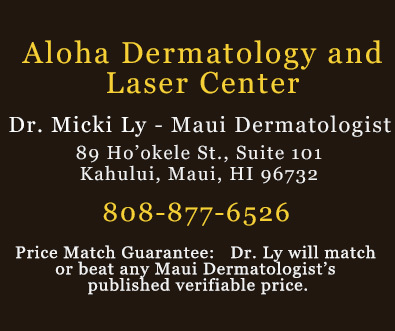 Restylane® on Maui From Dermatologist Micki Ly M.D. "I disliked the fine lines around my lips (medical term: perioral wrinkles) and decided it was time to get rid of them, knowing that injections of a hyaluronic acid filler such as Restylane can plump up fine lines with a risk only of minimal bruising." Restylane® works immediately by adding volume to smooth away wrinkles. A clear gel formulation of hyaluronic acid, Restylane® is specifically formulated to act like your body's own hyaluronic acid. So, you can use Restylane® to visibly reduce moderate to severe facial wrinkles and folds, and to add fullness to your lips. 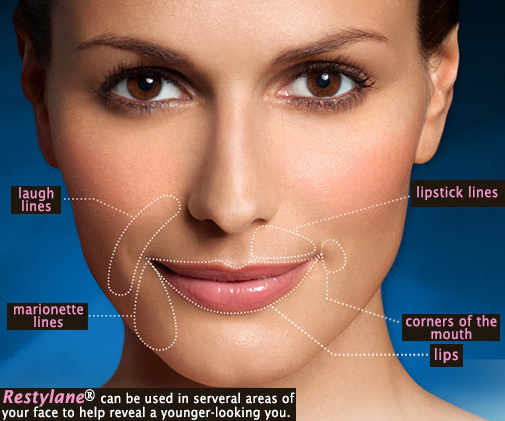 Restylane® maintains its shape using the body's own moisture. The hyaluronic acid in Restylane is hydrophilic or "water loving." As hyaluronic acid gradually degrades, each molecule binds to more water and over time, the same volume can be maintained with less hyaluronic acid. This ability of hyaluronic acid to bind to water is what helps provide lasting results.